Add elegance and decor to your bathroom with the metropolitan light fixture. 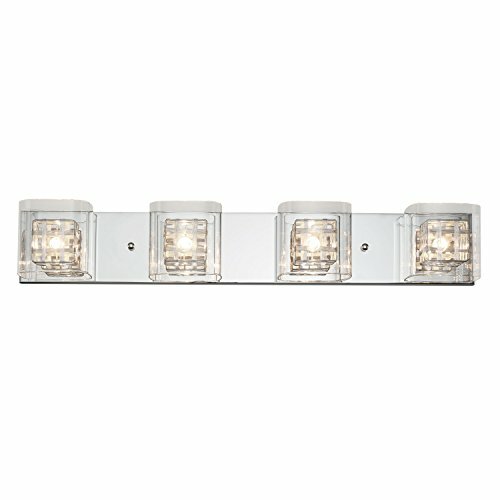 This vanity light complements both modern and traditional bathroom designs. With its clear glass diffusers and wire mesh inlay, it creates an illuminating glow for your bathroom ambience. Bulbs are included as well as an additional diffuser for added convenience. If you have any questions about this product by Artika, contact us by completing and submitting the form below. If you are looking for a specif part number, please include it with your message.